Imagine finding out that your grandfather’s neighbor – the gentleman you remember coming round the back fence during the family’s annual Easter egg hunt – was a spy. It was a shocking revelation for Susan Heuck Allen, who had never imagined that the late Jack Caskey, an archaeologist and professor at the University of Cincinnati, had once led a double life in the world of espionage. 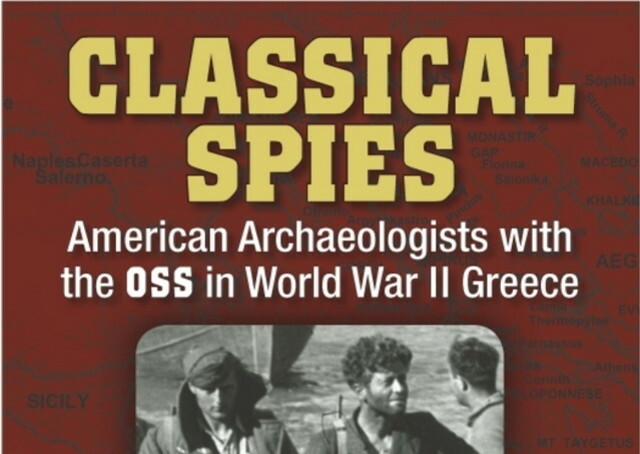 His secret life – spying for America in World War II Greece – and that of many other American archaeologists who were based there during the war – is revealed in Allen’s new book Classical Spies: American Archaeologists with the OSS in World War II Greece. Allen, a visiting Scholar in the Department of Classics at Brown University, has packed her 430-page book with detailed descriptions of events never before published. Relying on secret documents, private diaries and interviews with individuals sharing their stories for the first time, she reveals details about a remarkable group of individuals who were often mistaken for mild-mannered professors and scholars. According to Allen, her book is the first and only account of the archaeologists who formulated and managed the first major American intelligence service in Greece. They were trained to interpret the classics and they knew the land, languages and the people through long years in the trenches. In her book, Allen explains how they put their scholarship to work for the United States, gathering secret intelligence, planning missions and managing intricate networks of spies who penetrated into Axis-occupied Greece until they became operatives themselves. Aside from Caskey (photo), Allen also researched archaeologists like University of Pennsylvania’s Rodney Young and Carl Blegen, Yale’s Jerry Sperling and Dorothy Cox, and Bryn Mawr’s Virginia Grace. They all proved their mettle as effective spies in an intriguing game of cat and mouse with their Nazi counterparts, according to Allen, who spent 10 years interviewing their spouses, colleagues and students in Cincinnati, Athens, Oxford, Cambridge, Ismir and Philadelphia. She interviewed anyone who could help her to add a piece to the puzzle. Caskey’s widow, Miriam, who lives in Athens, for instance, shared photographs, address books and memories with Allen. In an interview with The Pappas Post, Allen talks to Kathy Tzivilakis about her decision to write the book and her new project – a screenplay based on the life of Clio Adossides Sperling, the wife of Jerry Sperling (one of the OSS archaeologists in her book). I was always very interested in World War Two, stemming from my experience [as an archaeologist] on the island of Kea back in 1978. The idea for this book goes back to ouzo hour in April 1978 when I was working for Jack Caskey – formerly the director of the school of classical studies in Athens. I was there as an illustrator for a dig. One night at ouzo hour, while sitting around the dig house on the veranda, Caskey started talking to us about the war. He asked us if we had ever heard of an individual by the name of Cicero. I immediately thought of the Roman orator. I had no idea of Cicero the spy. I was only 22 years old at the time. So, Caskey began to tell us about Cicero the spy who worked for the British embassy in Ankara [Turkey] and who spied for the Germans. He told us how Cicero – his real name was Elyesa Bazna and he was an Albanian Turk – would sneak into the British ambassador’s office and photograph files to sell to the Germans. Caskey told us that he was asked to evacuate a young German woman who had blown the whistle on Cicero. He told us about how he had gotten her out of Turkey. My professor, which I had no idea before the night when we were all tossing back ouzos, was involved with the OSS – the Office of Strategic Services, which was the predecessor of the CIA during the Second World War. I knew Caskey as an elderly man. He was my granddad’s next door neighbor. I had met him as a child during Easter egg hunts. He and his wife would come around the fence. I had known him more or less my whole life. I had even worked for him at the University of Cincinnati where I did my Master’s. Was it a shock to find out he was a spy? I had known him such a long time and I had no idea, nor did any member of my family with perhaps with the exception of my grandfather. It was all news to me. I remember how all of us on the veranda were sitting on the edge of our chairs that night. Caskey told us that he got the German woman out on a kaiki [small fishing boat]. And she must have been some babe! I could tell that by the way his eyes sort of twinkled as he talked about her. Even back then, in his 70s, Caskey was a ladies man. H always was. Did he tell you any more stories? No, He shared this with us and then immediately clammed up. We asked him for more info but he wouldn’t say any more. Three years later, he was dead. Is this when you started researching Caskey? It was many years later in 2000 when the Archaeological Institute of America asked me to give a lecture in honor of Caskey. This is when I thought that his story would be great material for a biography. I began gathering information for his biography. I went to the National Archives in College Park, Maryland – I call it my candy store because it has been really fertile field for several books – to find out what he actually had done during the war. My quote-unquote fairy godfather, John Tailor, who had been at the National Archives since 1946 and was a living treasure about espionage, led me through the OSS files [some 4,000 cubic feet of declassified files] until I found Caskey’s files. What did you find out from reading his files? I had thought maybe he was just a grunt – not terribly important. But I was totally wrong. Caskey had been in charge of all US missions going through Ismir [Turkey] and all US missions went through Ismir. So, he was critical in the OSS effort in Greece and he managed everything at the Ismir base. 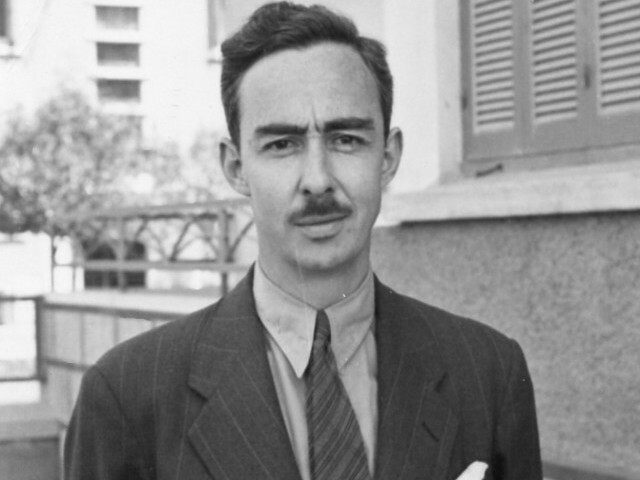 I also found out that Rodney Young [another American archaeologist] was in charge of the Cairo base which was the hub of the Greek desk operations. In a file I found back in 2001, there were a lot of letters from Germany. One was from Caskey to some guy named Jack and was dated April or May 1946. The letter read: Dear Jack, just getting ready to leave. I’ve left all my mission files in Heidelberg. If you need me I’ll be at the University of Cincinnati. Several people have asked me if I want to do more – you can contact me there. For years, I had no idea who this Jack guy was. I eventually found out it was Richard Helms, who later became the head of the CIA. I worked on the story for about 10 years, which is a very long time. But about 90% of the material in my book has never been published before. What’s the most fascinating thing you learned while researching for your book? One of the things that I found so fascinating was something I learned very late by piecing together the material – the material was declassified several times over the 10 year period. 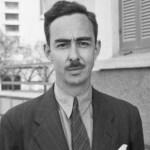 The latest declassification allowed me access to files which told me that my professor, Caskey, had not only served in Ismir and on the Greek desk but that he also was in charge of secret intelligence for the United States in Munich in 1945. This was interesting for me personally because my granddad had been in Germany during the war and was there at the same time that Caskey was. And, the two had been next door neighbors. I really wish I knew what they had talked about. What’s been some of the feedback you received about the book? It’s all been positive. Archaeologists who read the book have told me about staying up all night and they just thank me profusely. But there was one person at the American School of Classical Studies in Athens who had told me that I should never publish this book. I think she was worried about the impact that it might have on American archaeologists working in Greece. But, as far as I’m concerned, all the Americans involved with the OSS in Greece were doing so because they loved Greece. It was not only patriotic war work for them vis-a-vis the Unite States, but they loved Greece and that’s why they were willing to do it… It was very much a philhellenic enterprise. Well, the whole thing surprised me. I was flabbergasted. I had no idea. All you read about in the news is British being involved in Greece during the Second World War. You never read about any American involvement. So I would say the entire story is surprising to me, while the extent of commitment of these men and woman is truly remarkable. Yes. There was one woman who, at age 50, became the chief interrogator. That was Dorothy Cox. I admired tremendously her bravery. She would invite people back to her flat to interrogate them – she was a single woman! She was pretty gutsy. 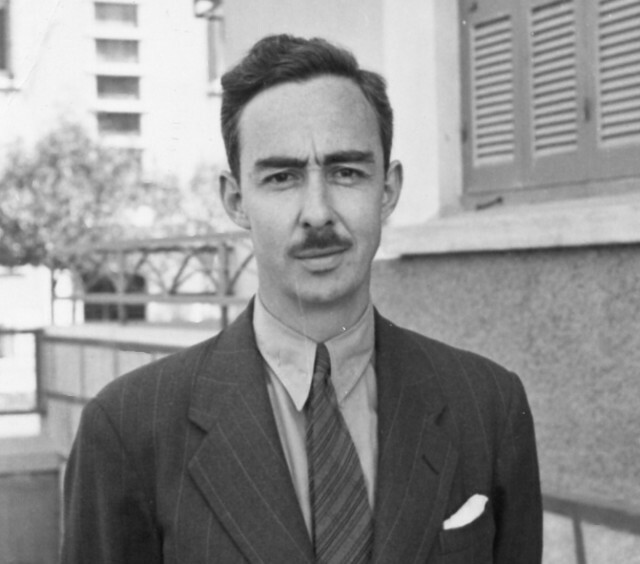 Another thing that surprised me was that my professor [Caskey] happened to file the most important intelligence report on December 3, 1944 [the day that civil war broke out in Athens as communist guerrillas battled democratic forces for control of a liberated Greece]. He just happened to go to down to Syntagma Square that morning because everyone knew there was going to be a big demonstration. He wasn’t going down in any official capacity because he was sort of over at the point and waiting to return to the U.S. There is just so much I could say. Did you manage to speak to any of the archaeologists involved with the OSS? There was one gentleman by the name of Spiro Kapponis, who I met at the Greek embassy in Washington in November 2007. He was a Greek American who was part of the OSS and was being honored for his service. Kapponis worked in Evros where he was on a special project called the Chicago Mission, which was in charge of blowing up bridges that crossed the Evros River. The OSS wanted to blow up these bridges to stop trains carrying chrome from Turkey to Germany. Chrome was essential for the process of hardening steel, which was essential to the Nazi war machine. Kapponis worked with this mission. He code named the bridges Milwaukee, Juliet and Chicago. One was in Stalingrad, Bulgaria and one was near Alexandroupoli – those were Milwaukee and Juliet. The bridge codenamed Chicago was never blown up because it was too close to Turkey and the Turks objected to this. So, Spiro Kapponi was a very young man at the time. He was a radio operator and he came from Indiana. 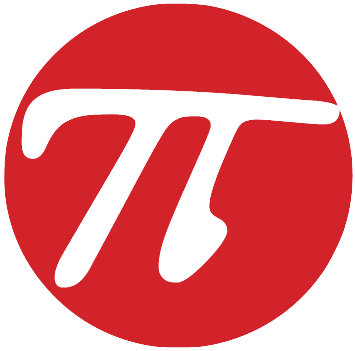 His job was to use cipher to encrypt his messages. He used the Gary Indiana high school song as his key. It was a real pleasure to meet him at the embassy in Washington and a second time in Chicago where we met in the lobby of a hotel. He brought me photograph albums and a dagger he said had somehow gotten out of Evros. Spiro was absolutely wonderful. He almost died, he was shot. I regard him as the real hero. He’s still alive. I’m actually working on several projects, but a really big one is a screenplay about one of the characters in the book who I had the extreme good luck to meet. Clio Adossides Sperling captivated me. I could have sat at her feet for hours, but I didn’t have that luxury. She was in her 90s when I first met her in Athens in 2002. She was a Greek woman who had worked at the OSS Greek Desk for Rodney Young. Clio had left her life as a concert pianist in Athens to nurse Greek soldiers fighting in Albania where the Greeks were driving back the forces of an Italian invasion that had begun on October 28, 1940. While her husband flew reconnaissance missions for the Greek Air Force, Clio, all alone in a wooden hut in the freezing snow-deep mountains, gave first aid to soldiers who were dying of exposure. She was assisted during these harsh times by Rodney Young who drove an ambulance and delivered supplies to her. Get the hardcover or softcover book and read this fascinating story.